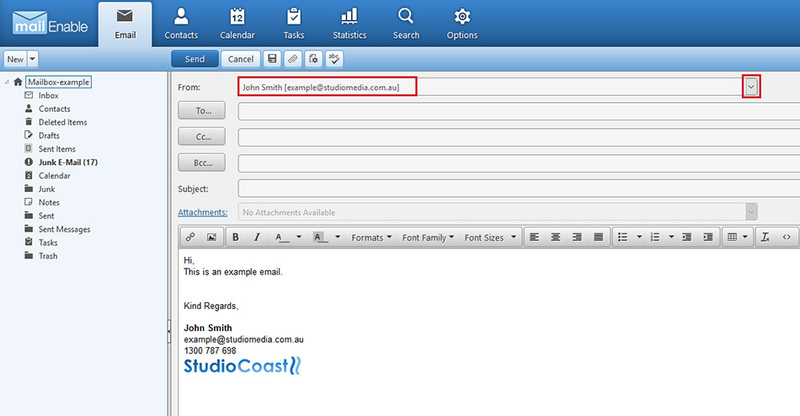 The below guide explains how to setup an email signature in your StudioCoast webmail. 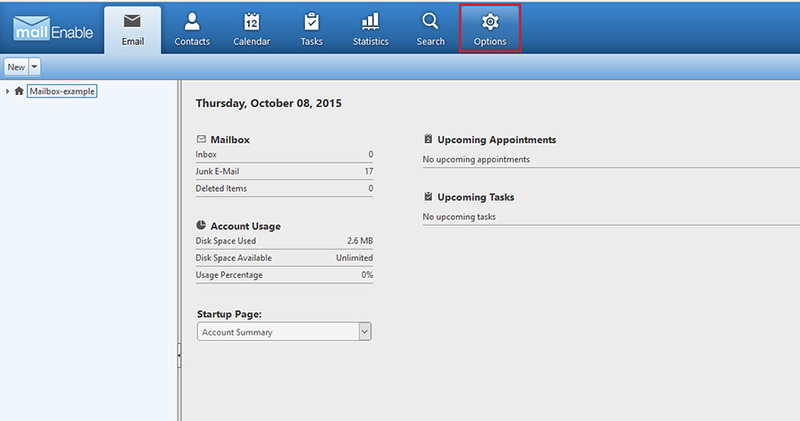 Next, select the "Options" menu item up the top right of Webmail. 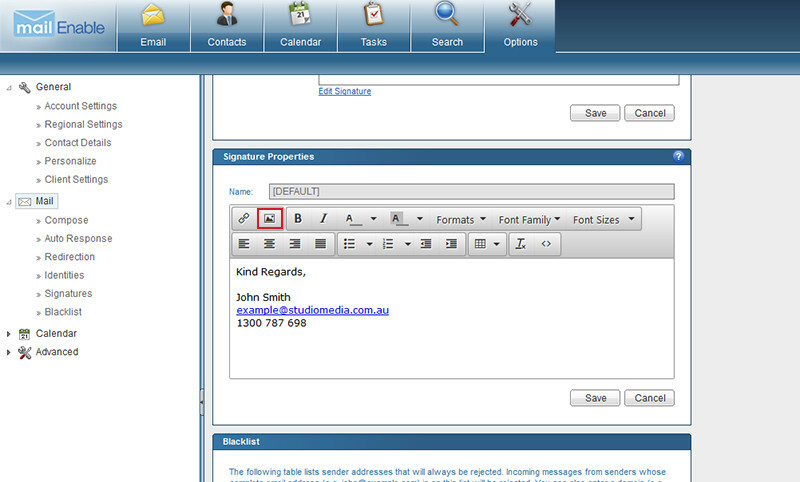 Select the arrow next to "Mail" in the left sidebar to show its submenu options. Then select "Signatures". If you would like to assign it as your default signature (appear in all emails by default), select the "Edit" link to the right of "[DEFAULT]". 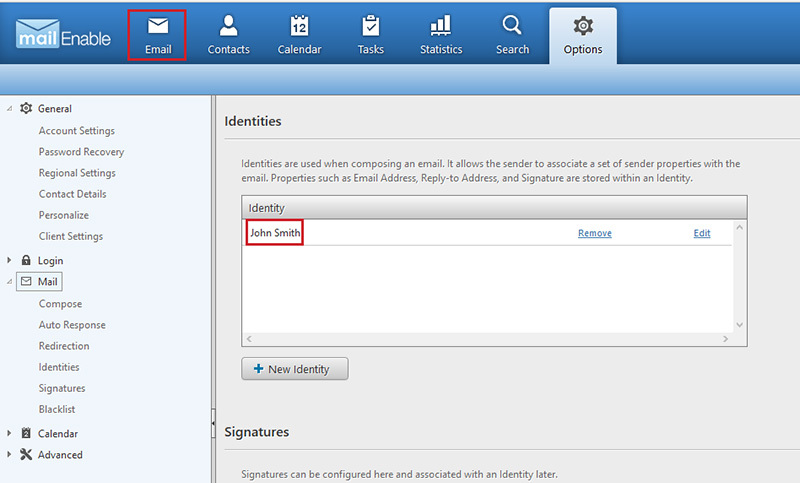 Otherwise you can also create a separate signatyure and assign it to a different identity by selecting the "New Signature" button. 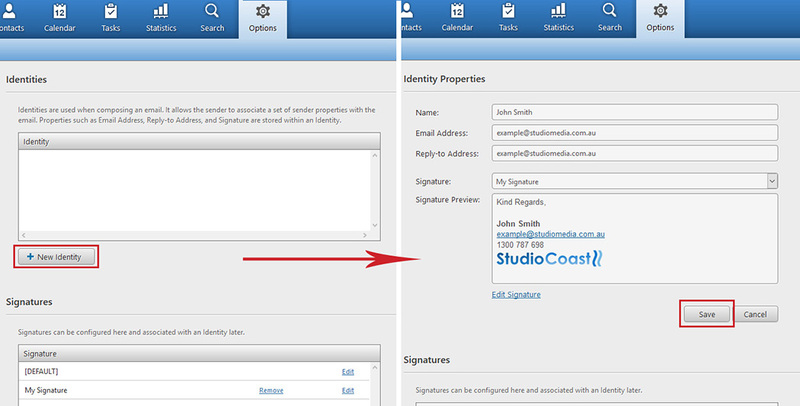 In the 'Signature Properties' box, add the contents you want for your signature such as your name and contact details. You can use the tools above it to change the font, size, style etc. If you wish to add an image to your signature, please proceed to step 6. 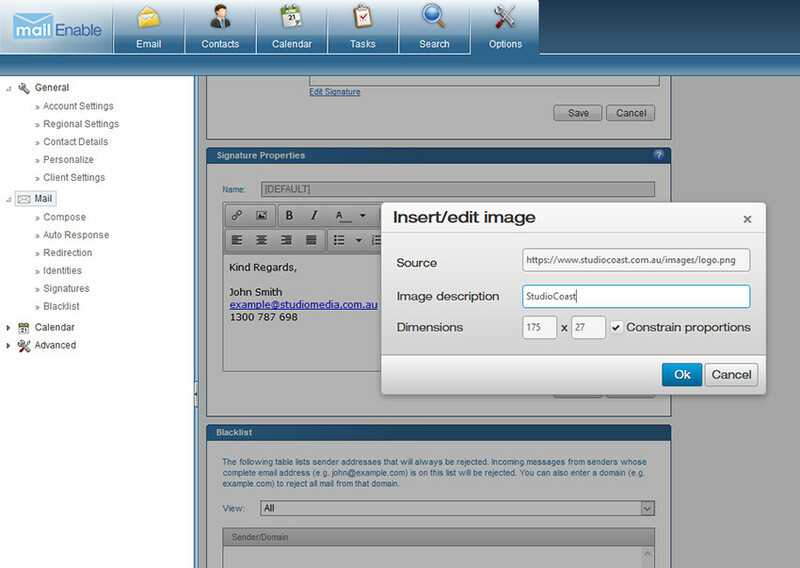 In the popup box that appears, type in the link to your image you have hosted online into the "Source" field. You can also give your image a description (optional). It will auto-detect the size of your logo. If it is too big and you wish to make it smaller, you can type the new dimensions in pixels in these fields. Then press "Ok". 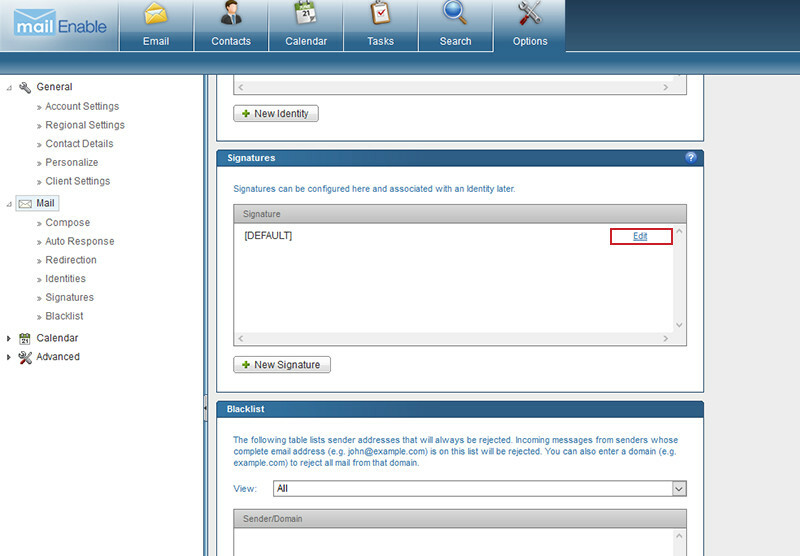 Once your signature is complete, select the "Save" button to save. If you have created a separate new signature you wish to assign to an identity, please proceed to Step 9. Otherwise you default signature setup is complete. Follow steps 1 - 7 to create a new signature. This can now be assigned to a different identity so you can choose a different signature to use. 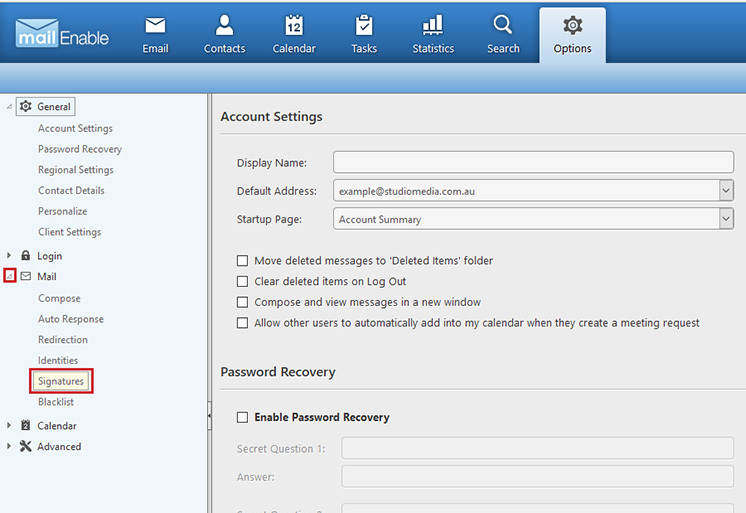 To do so, select the "Identities" submenu item to the left. Select the "New Identity" button to create a new identity. 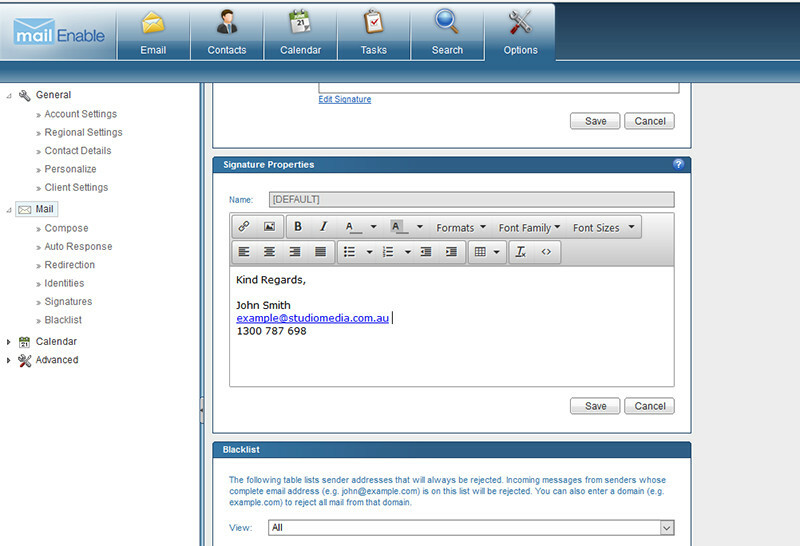 Then fill in the details including your Name and your Email Address. 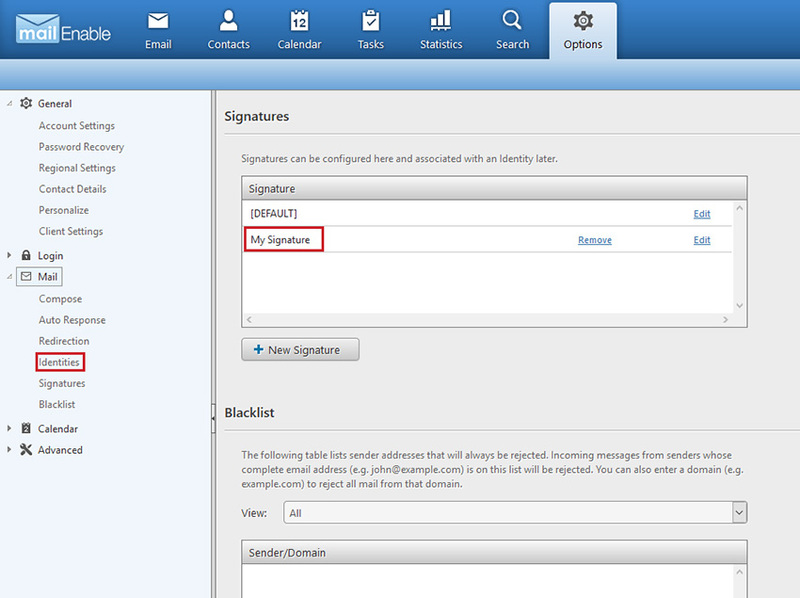 In the Signature dropdown menu, select the signature we have just created. Below it, it will show a preview for you. Then select "save". This will have cerated a new identity for you. Next, select "Email" to go back to your Emails. 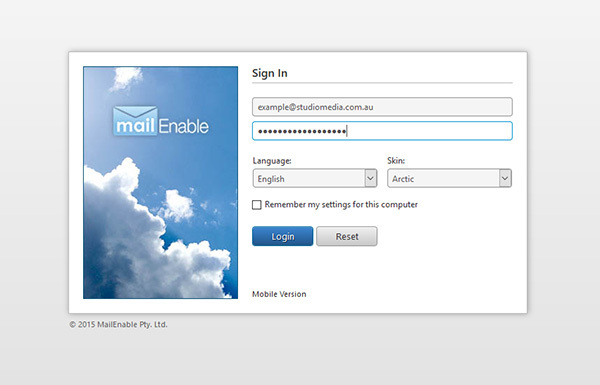 You may have to log out of your webmail first and then back in again in order to see the new identity. 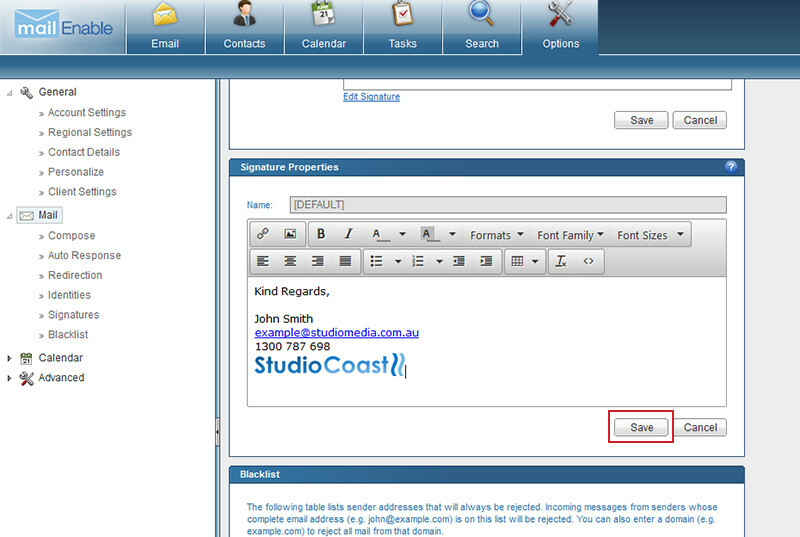 After that, select the "New" button then "Email Message" or the "Compose" button to create a new email. Up the top next to "From". select the dropdown menu and choose the indenity you just created. This will automatically add your signature to the email.